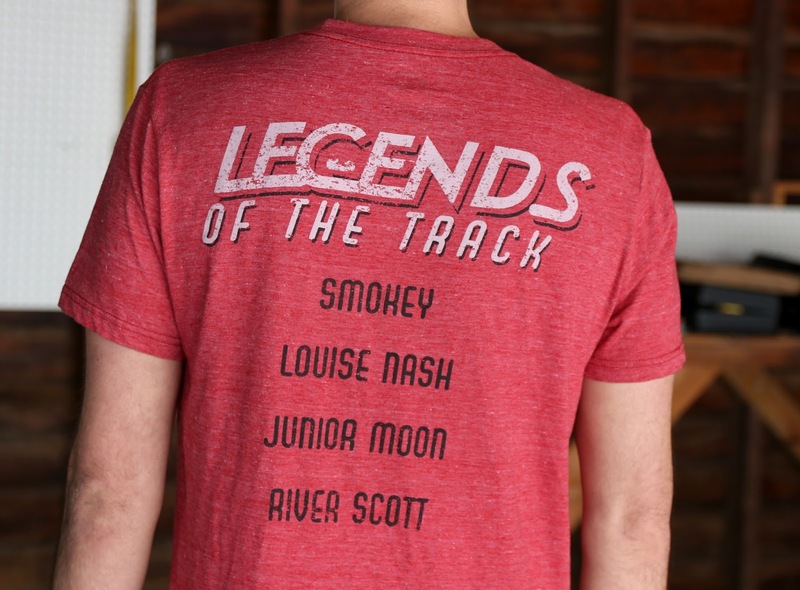 Today I'm taking a look at the Disney Store exclusive "Legends of the Track" Cars 3 men's tee—released back in April with the initial launch of Cars 3 merch! You might remember that I wore this back on my birthday in May (as well as to the premiere of Cars 3 AND to Cars Land in July; I've gotten some good millage out of this shirt this summer), but I've yet to do a formal review of it here. I actually really like this tee. It's soft, it fits nice and has a nice heathered look/texture to it (plus it's more of a muted red, rather than a bright red color). I love the look of the screen art and tribute to the film's racing legends (inspired by real life NASCAR legends of course): Smokey (based on Smokey Yunick), Louise Nash (based on Louise Smith), Junior Moon (based on Junior Johnson) and River Scott (based on Wendell Scott). 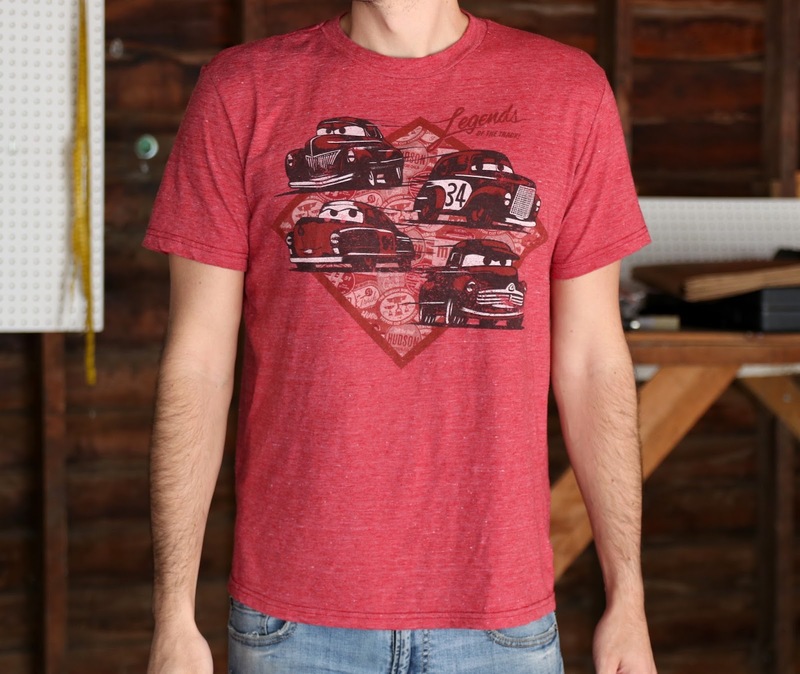 Though I've never been into real NASCAR and I never knew of these racers before the film, I still sense an overall nostalgic feel to this shirt which I can appreciate. If you haven't picked up this tee yet, be sure to grab it before it's gone. It's currently on sale for an awesome price of $15.99! Act fast—once these shirts go on clearance, it doesn't take too long for them to, well, clear out. Visit your local Disney store or visit their website HERE to purchase. Shout out your thoughts in the comment section below!